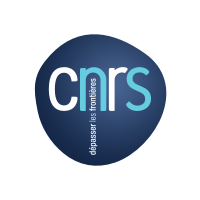 CNRS: The Centre National de la Recherche Scientifique (National Center for Scientific Research) is a national public organisation under the responsibility of the French Ministry of Higher Education and Research. The Institute of Chemistry and Processes for Energy, Environment and Health (ICPEES), is a joint research unit with a partnership between the French National Research Council (CNRS) and the University of Strasbourg (UNISTRA). The Institute benefits from high research standards and facilities in the fields of chemistry, physics and material sciences. The institute is composed of more than a hundred of scientists concerned by the development of advanced research related to energy, environment and health. The institute is composed of several teams such as the “BioTeam” group. BioTeam is composed of around 20 researchers (senior researchers, post-docs, PhD students and masters) and develops biobased and/or biodegradable polymers for environmental and biomedical applications. BioTeam has built a full chain value from the biomass towards final objects, integrating white biotech to elaborate building blocks or bio-macromolecules, polymer chemistry, formulation and plastic processing, with different characterisations (chemical, bio-chemical, mechanical, and physico-chemical) at the different levels of this chain. CNRS is mainly involved in: WP2: Identification of PU-hydrolysing enzymes and engineering of PU-degrading modules, WP4: Identification and purification of building blocks from the depolymerised polymers. Characterisation of the PHAs and second generation PUs produced. Study of the processability and thermal stability of PHAs and PUs. WP7: Structure-based rational design of PU-degrading activities. WP8: Dissemination and exploitation of the results. 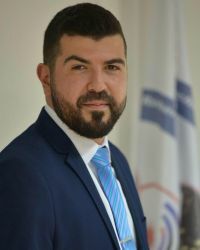 Raymond Hajj has obtained his PhD degree in Chemistry and Materials Sciences, in 2018, from IMT – Mines Alès (France) and the Lebanese University (Lebanon). His PhD thesis was about “Natural fibers modification processes”. He is specialized in Polymer Science and Engineering. As of January 2019, Raymond is now part of the BioTeam/ICPEES-ECPM group at the University of Strasbourg, France. Audrey Magnin, PhD student at ICPEES (Joint Unit CNRS/University of Strasbourg: UMR CNRS 7515), received her Master in biotechnology with specialization in R&D and Environmental science in SupBiotech (Villejuif, France) in 2014. She will be working on the enzymatic hydrolysis of polyurethane polymers. Anica Lancuski completed her bachelor and master studies at 2010 at the 'Faculty of Technology and Metallurgy' University of Belgrade, Serbia. She is a chemical engineer, specialized in polymer chemistry and technology. She continued with her doctorate studies at the Polytechnic Institute of Grenoble (Grenoble INP), France, on processing of biocompatible nonwovens using electrospinning technique, and their functionalization via click chemistry for tissue engineering applications. 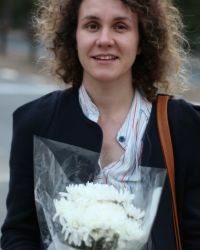 Soon after finishing her PhD in 2014, she pursued her postdoctoral studies at Department of Mechanical Engineering at Technion - Israel Institute of Technology, Israel, working on starch-based monolithic and compound electrospun fibers as a versatile and edible drug-delivery vehicle for nutraceuticals and cells. 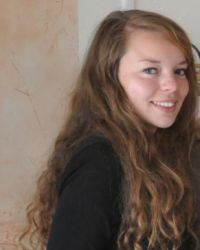 As of 2016, Anica Lancuski took part in the BioTeam/ICPEES-ECPM group at the University of Strasbourg, France. She was actively involved in the project until August of 2017. 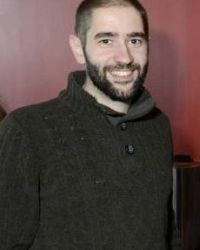 Sébastien Dhers completed his bachelor and master studies in 2010 at the Paul Sabatier University in Toulouse, France, followed by a PhD from the University of Otago in Dunedin, New Zealand. He specialized in molecular magnetism. He then continued with his postdoctoral studies at the University of Strasbourg, France, working on dynamic chemistry. As of February 2018, Sébastien is now part of the BioTeam/ICPEES-ECPM group at the University of Strasbourg, France.